I've wanted to do a blog post review on the Emite Makeup Diamond Heart Primer for so long now but I've wanted to wait until I've used a lot of the product itself before I actually done the blog post. I got this Emite Makeup Diamond Heart Primer in my Glossybox a couple of months ago now and I didn't want to use it when I got it as I had a little bit left in my Rimmel London perfect match primer but once that had ran out I started using the Emite Makeup Diamond Heart Primer and I really wish I had done sooner. 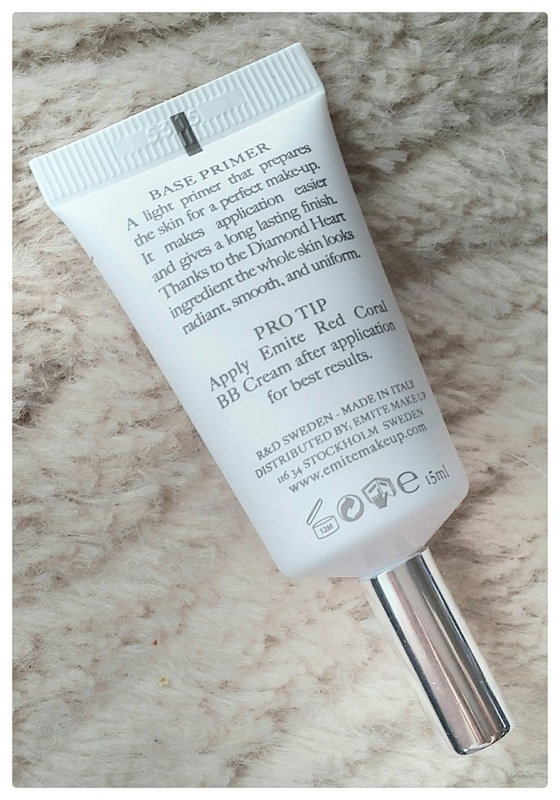 Primers underpin a great base and this lightweight formula is no exception. The peachy fluid balances skin tone, boosts radiance and creates a smooth finish, perfectly prepping skin for the day (or night) ahead. 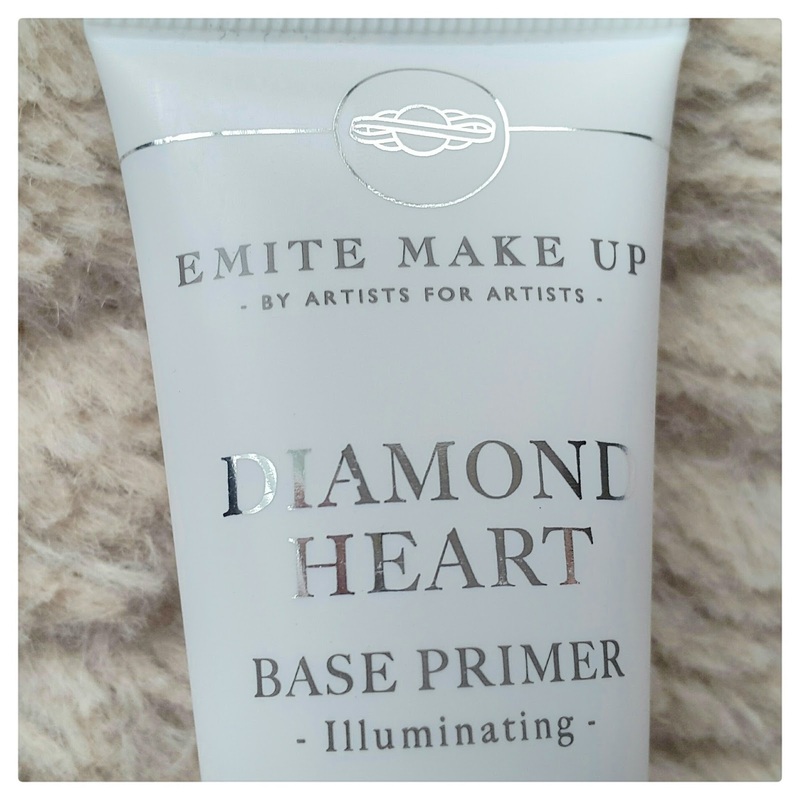 Emite Makeup Diamond Heart Primer provides your skin with a beautiful, healthy glow that gives a smoothing effect. You can use it on its own to create glow or as a primer under your foundation or BB Cream. This primer features a special mixture of colour correction pigments which give an even skin tone with a corrective effect. It also includes Diamond Heart, composed of small gold-coloured light-reflecting particles that give the skin a healthy glow and luster. 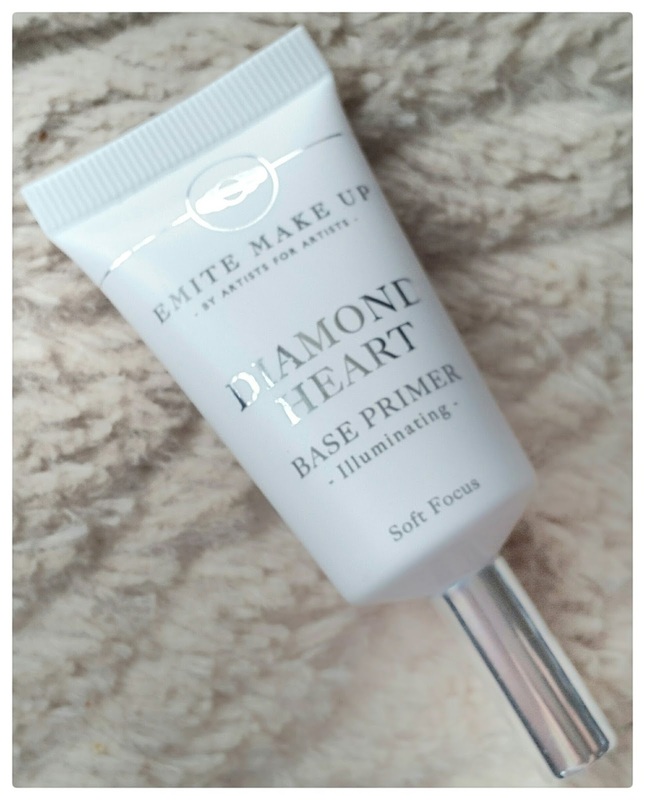 Emite Makeup Diamond Heart Primer gives a light feeling on the skin and smooths over dry spots and other imperfections, for colour correction and reducing redness. The pigment in Emite Makeup Diamond Heart Primer evens out the skin tone and minimizes defects. With small light reflecting particles that are distributed over the skin and give an illusion of smoother skin and a healthy glow. Emite Makeup Diamond Heart Primer is free from mineral oils and free from parabens. It's made from all vegetable products and, of course, not tested on animals. I love the Emite Makeup Diamond Heart Primer and I hope you all will give this primer a go and play with because it's beautiful. It's so smooth going on, beautiful to wear and the best thing is you only need the tiniest amount! You can buy the Emite Makeup Diamond Heart Primer for £25.90 from Glossybox online by clicking here. 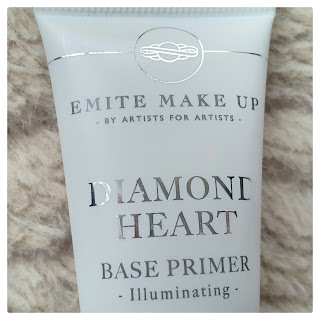 If you have tried the Emite Makeup Diamond Heart Primer then let me know by commenting below or by tweeting me. I hope you all have a wonderful day.